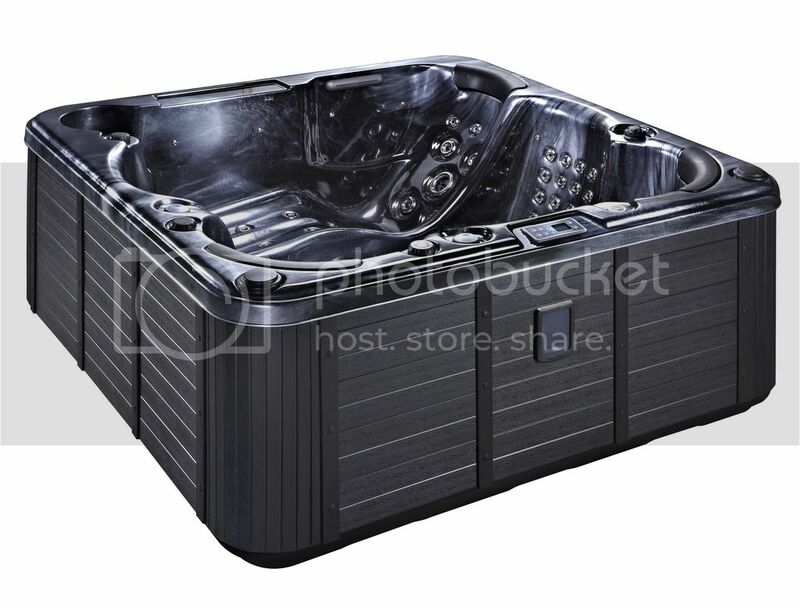 As you can see from the image below the Majestic comes with 2 loungers as shown above which is exclusive to Platinum Spas with its smooth design also incorporating 3 seats in addition to the 2 recliners, The is seating for 5 adults with a total of 3 headrests. 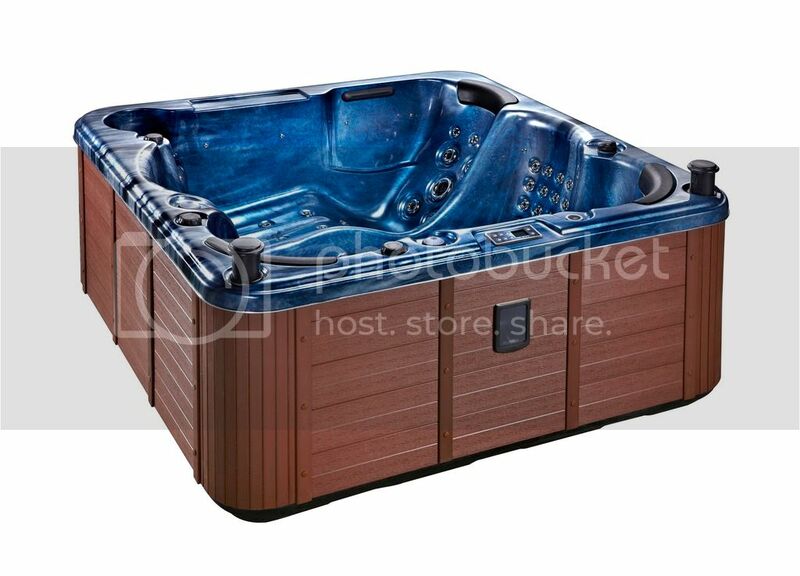 The side panels and steps that are used onPlatinum spas are maintenance free whilst looking just like wood we use a wood composite instead of real wood on all our steps and side skirts. Wood rots and can deform over time! These particular side panels and steps do not rot or fade increasing the life and keeping the brand new look for many years!